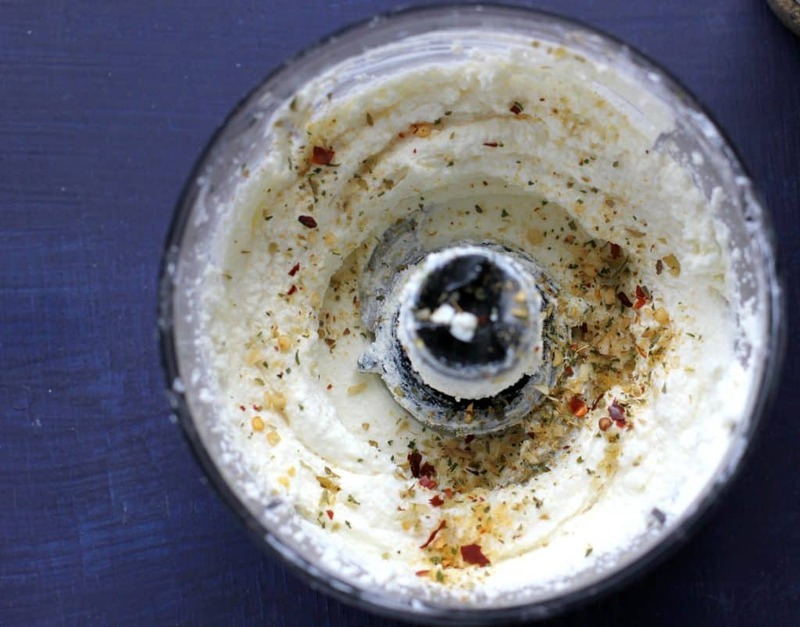 Can we talk about how easy this whipped ricotta recipe is? You only need 5 ingredients, most of which you probably already have in your kitchen. Plus, you can whip this up in 5 minutes. And I mean literally whip this up. I actually tried this recipe a few different ways but ricotta version was the one that kept me coming back for more. 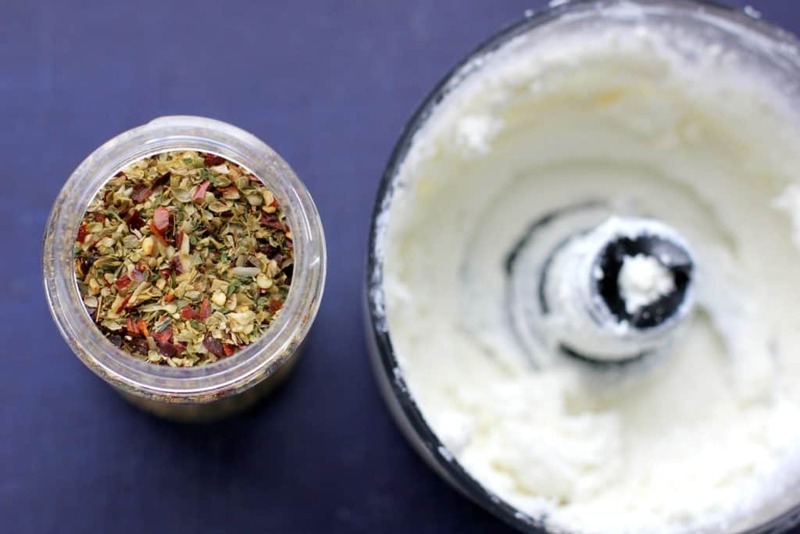 It’s unbelievably creamy and I love how it pairs so nicely with spicy crushed red pepper. For this recipe, I used the McCormick Crushed Red Pepper, Oregano & Garlic All Purpose Seasoning but I ended up buying the others because they all sounded good! Alex has been making a lot of fresh bread recently which I’m loving. Usually, we just eat the baguette dipped in olive oil but I wanted to try something a little bit different. Warning: it’s got a kick to it, but you really can’t go wrong. 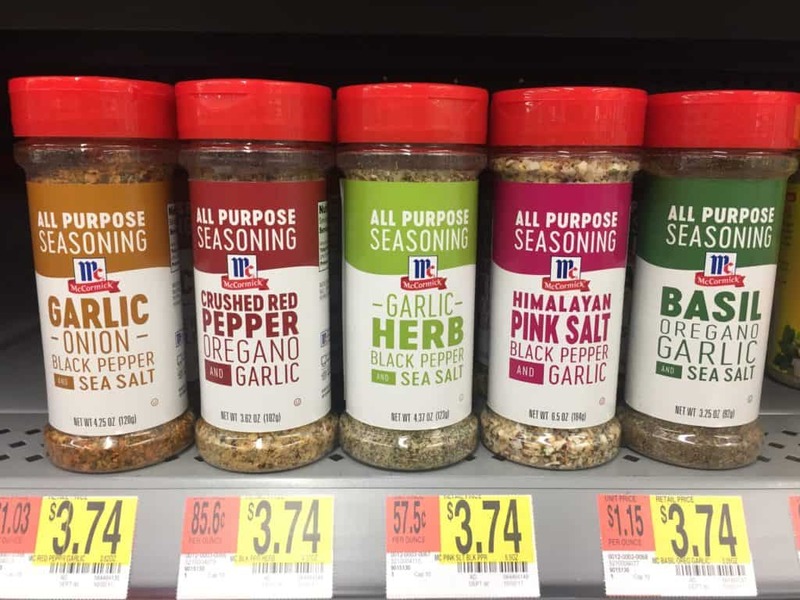 These all-purpose seasoning blends are like a “secret weapon” that takes all the guesswork out of finding the perfect flavor blend! Plus, I loved that the ingredients list was super transparent! 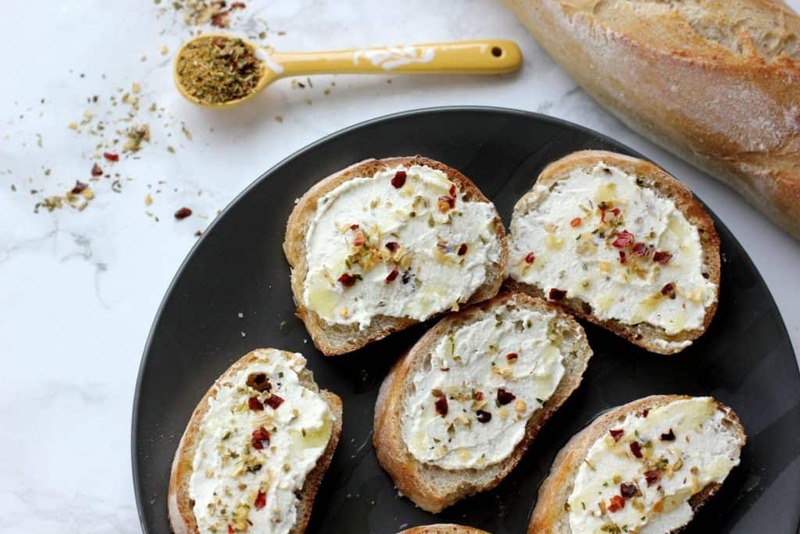 This easy whipped ricotta is the perfect spread for a crusty baguette! Whip the cream cheese with a whisk attachment on a stand mixer or blend it in a food processor for 30 seconds. Add in the ricotta and continue to blend for 3-4 minutes until it becomes smooth and creamy. If you’re using a food processor, it’ll blend a bit faster but you might need to scrape down the sides after 1 minute. Add in the spices and blend for 30 seconds until combined. 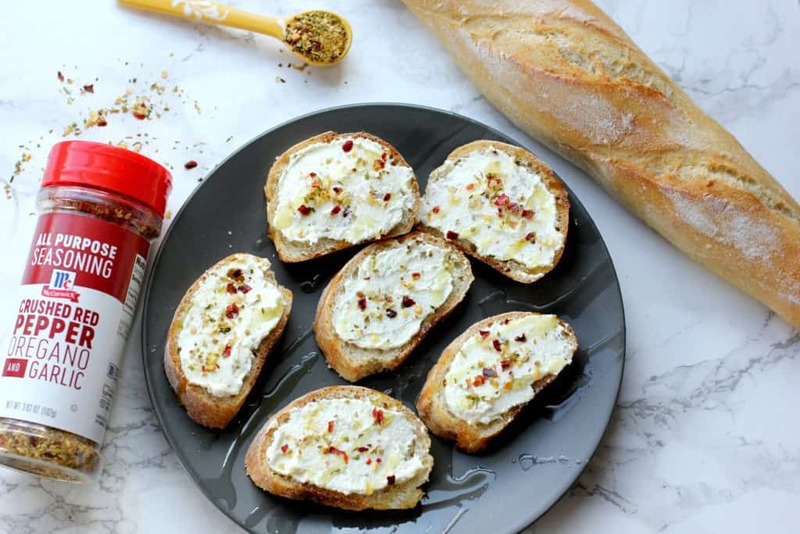 Slice the baguette into 1″ slices, and top with a smear of the whipped ricotta. I found that a whisk attachment on a stand mixer was the easiest way to get this ricotta to be super light and fluffy but if you don’t have one, a hand mixer or a food processor can do the trick. You might just need to stop and stir every minute or so. 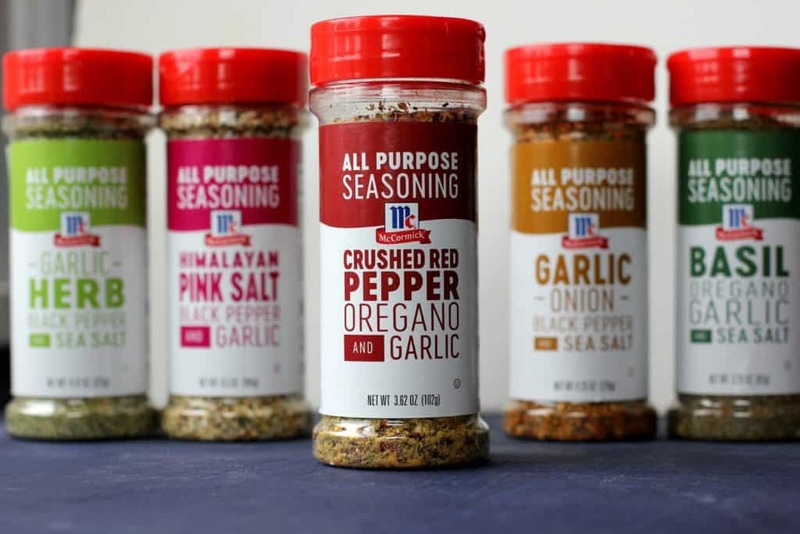 Honestly, I’m not a big “recipe follower” so I love how McCormick’s All-Purpose Seasoning Blends take the guesswork out of cooking. You can add a little more spice if you want to amp up the flavor or use a little less if you want something milder. It’s all about customizing it to your preference! And let’s be honest, is there anything easier than adding a few shakes of spices? 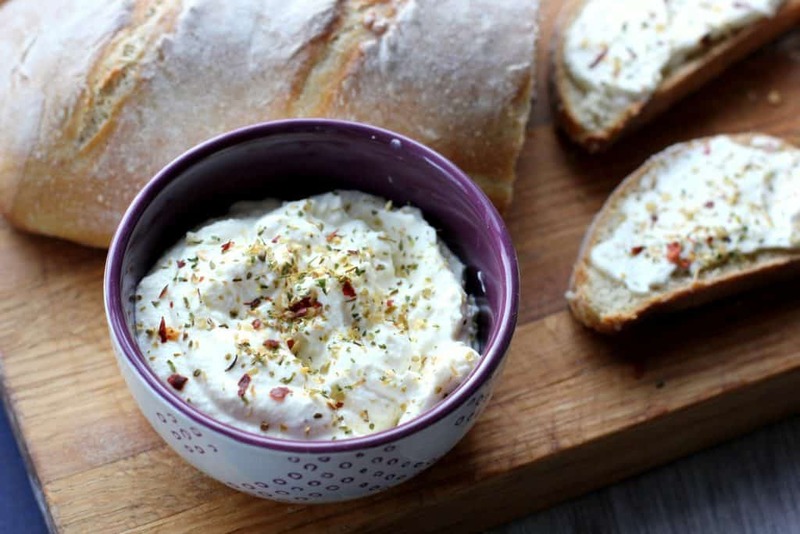 I hope you enjoy this easy whipped ricotta recipe! What’s your favorite way to spice things up? Oh, I am totally loving this easy recipe! I bet it doesn’t last long! I actually do have all the ingredients in my fridge right now! Gotta love any sort of whipped cheese!!! I’m going in!!! I am going to try this as an alternative to cheese on toast. It sounds delicious, I love the sound of the creaminess of the cheese and the spicy seasoning. Um, this looks amazing! I would totally make and eat this. I’ll have to check out those spice blends. I love not having to drag out every spice on the spice rack! Me too! It totally takes the guesswork out of finding the right spices! This recipe is going to be used a lot! Looove Mccormick spices! Have so many of them in my kitchen cabinet and this is another spice blend I need to add to the list! 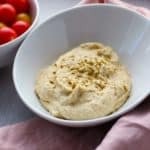 Would love to make this with a vegan ricotta that I make! Yummy! This looks great and so easy to make. I have to try this! 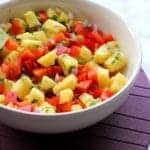 This looks and sounds so tasty especially with the spicy seasoning! Love how easy and fast it is to whip up too! I love this idea with the holiday season coming up! What a perfect appetizer idea! Thank you for sharing! Super bummed I cannot find that seasoning in Denver! It looks so yummy. Sounds yummy. I will be making this spread soon. Cunfused why it’s called “whipped feta spread”. ONLY 1 tbsp Cream cheese ? I am pretty sure this would be amazing on anything! I need to try it! This would pair well with any pasta! Ok, so this looks pretty awesome!! How amazing would this be for a base of pizza?? Yum! 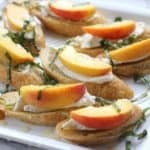 I love ricotta, and this is such a good idea! I’d love to try the garlic onion spice mix.I’ll have to look for it. oooo. McCormick has a himalayan pink salt blend? I’m so down to try this. 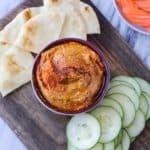 And this dip too sounds like a perfect spred for my morning toast! So darn easy and so darn delicious! Next time I’ll use it as the base for some bruschetta toppings! I love seasoning blends! I will definitely be giving this a try!